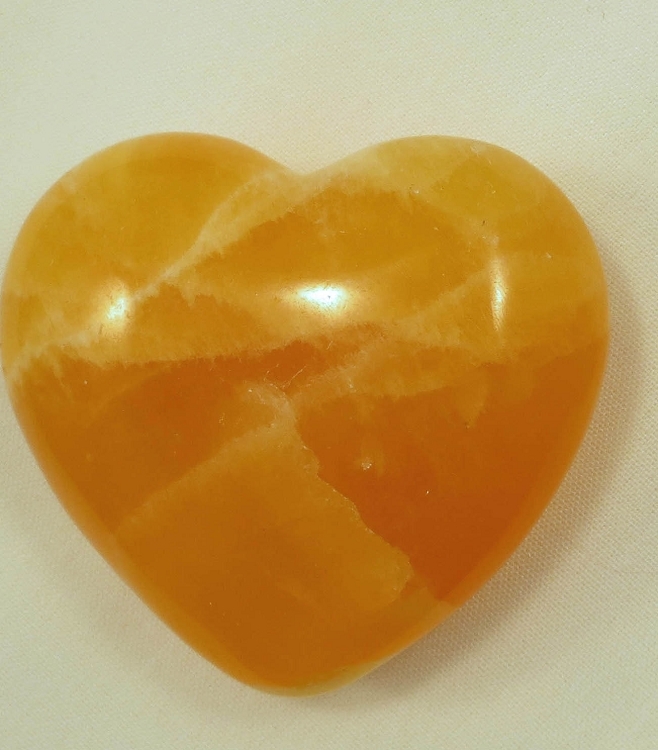 Honey Calcite Heart - 2.5"
Carved from Honey Calcite, these hearts make beautiful treasures and gifts. This sedimentary material is characterized by its remarkable colors – translucent vivid orange to paler shades of yellow. The internal crystalline structure is often highlighted by bands of white. For more information about this item or shipping costs, email canyonrockshop@gmail.com You will receive an item similar to that pictured; each item is unique.